My Pillow Place - Floor Pillows, Bean Bags & More! 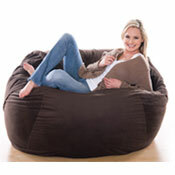 - The best place for quality bean bags, floor pillows and wonderful soft furnishings. Free Shipping on Everything! Finding the best pillows for side sleepers isn’t always easy. There are so many options to choose from that it can be overwhelming. If you have ever gone to the home goods store searching for a pillow, you know what we mean. Do you pick the firm pillow, the extra soft, the v-shaped pillow or the one that claims to be hypoallergenic? With all these choices, it’s easy to see how you could leave the store with your head spinning or just grab any old pillow just to be able to get out. However, you will never have to do that again. By the time you have finished reading this article, you will know why sleeping on the wrong pillow can damage your health as well as what types of pillows there are out there. We will end with in-depth reviews of the most popular pillows for side sleepers, just in case you are still unsure about which pillow to choose. Why Is Your Pillow Important? People spend a third of their lives sleeping. With this in mind, it’s understandable that you would want a comfortable pillow that will give them a good night’s rest. However, choosing the proper pillow for you is about more than comfort. Using the wrong pillow, even if it is comfortable can cause several health issues that you might not have thought of. Do you have chronic migraines? If so, the cause may be your pillow. A pillow which is too soft will allow your head to rest at an awkward angle. This awkward positioning causes your neck and spine to be misaligned. A pillow that is too firm, on the other hand, leads to a whole other problem. A firm pillow will stretch the muscles at the back of the neck. It doesn’t matter whether your pillow is too soft or too firm. Either way, the symptoms can be the same. Migraines and neck pain are common, and unwelcome, morning companions. Headaches and neck pain are not the only problems using an improper pillow can cause. If you wake up in the morning with itchy, watery eyes, allergies could be to blame. When it comes to pillows, people generally think they are safe. After all, there are standards about what filling can be used. However, if you happen to be an allergy sufferer or an asthmatic, you need to be more careful. Feather or down pillows, for example, can exacerbate your condition, leading to coughing, sneezing, watery eyes, wheezing and general annoyance. A dusty down pillow can even cause an asthma attack. That’s not something you need when you’re just trying to get a good night’s sleep and wake up rested. There is one health problem that is specific to side sleepers. Have you ever awakened in the morning, only to feel like you have talked on the phone for hours? If you have, you know that the pillow you use can lead to pain or aching in the ear. This generally happens with firm pillows. The ear gets pressed into the hard pillow, which offers no give and leads to a world of hurt in the morning. The final health problem we are going to discuss today is shoulder pain. The misalignment of your neck and spine leads to more than just migraines and neck pain. Sometimes, pain originates in the neck and travels into the shoulder. Other times, people wind up sleeping on their shoulder. Doing this can cause it to hurt or become stiff. Doing this for a long period of time can cause chronic shoulder pain. This will lead to a decrease in productivity and your work and personal life will suffer. This delightful pillow might just be a sleep miracle. 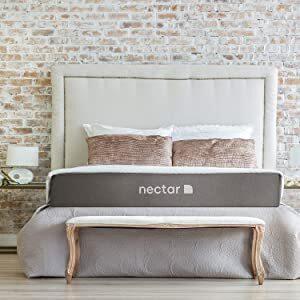 It is hypoallergenic, guaranteed to keep you cool and adjustable so you can get the proper pillow thickness for side sleepers. The pillow is filled with shredded Certipur memory foam. This foam is hypoallergenic, mite-resistant and will not grow mold. Furthermore, it will wick away any heat and moisture, keeping your head nice and cool. 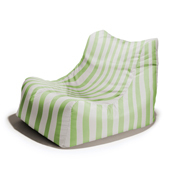 The coolness factor is also helped by the pillow’s bamboo polyester blend covering. 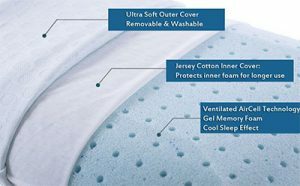 Because it is memory foam, it will also conform nicely to cradle your head and neck, giving you the best sleep possible. Bamboo is excellent for keeping your head nice and cool. 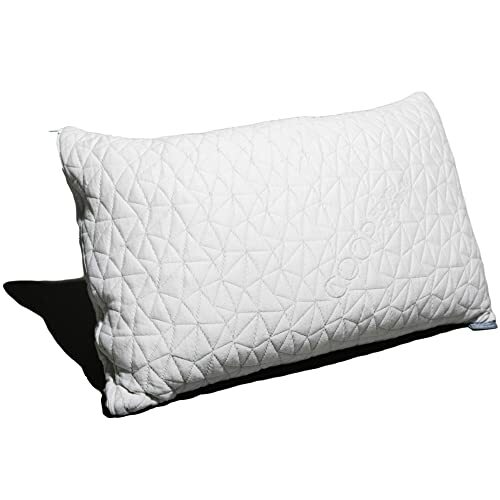 It’s naturally moisture-resistant, so if you sweat a lot at night, this pillow will be perfect. The pillow is actually filled with a combination of shredded memory foam and bamboo. Feel the comfort of a down pillow, with the firmness and support of memory foam. Due to its filling, this pillow will keep your spine naturally aligned, preventing stiffness and pain upon waking. You will also never have to fluff your pillow again. The Snugglepedic pillow will conform to any position you sleep in. As a side sleeper, you likely know that a knee pillow can be very beneficial. However, not just any old pillow will do. 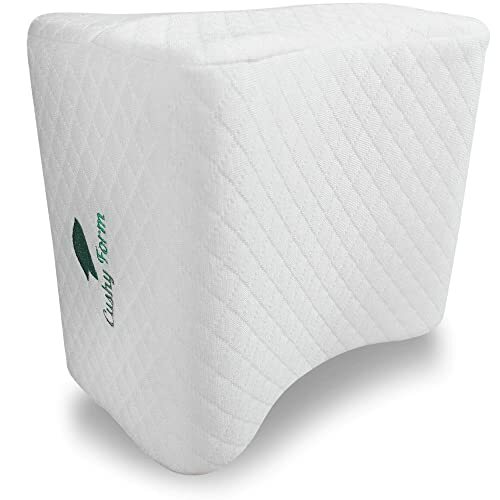 The wedge-shaped knee pillow from Cushy Form will keep your lower spine aligned, while giving you leg support. 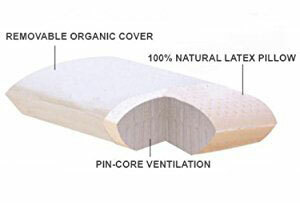 The unique, contoured design also prevents the pillow from moving around as you sleep. As an added benefit, the pillow also helps with aches and pains. Be prepared to kiss arthritis pain, nerve pain and stiffness goodbye. 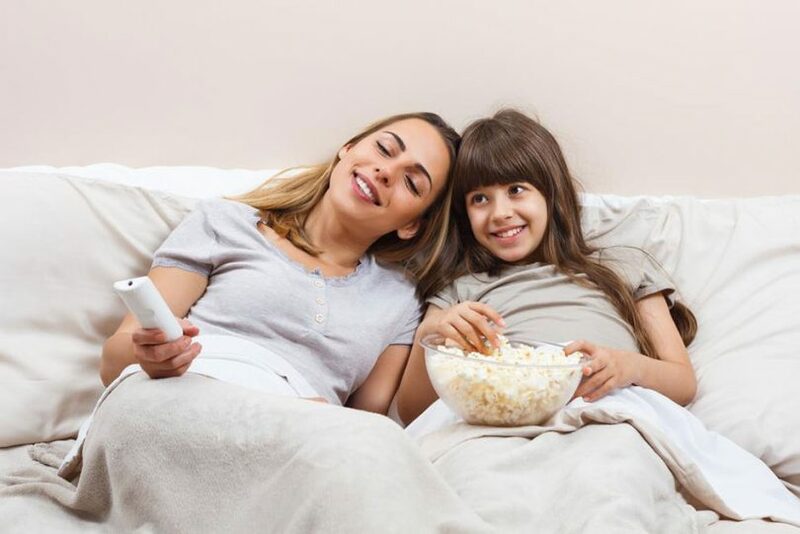 Pillow Purchasing: What Do You Need To Know? There are many types of pillows. Before choosing one for yourself, it’s important to understand what you need in a pillow. Take into consideration the following factors. In what position do you sleep most often? Each sleeping position has different support needs. There is a proper way to sleep on each pillow. What allergies do you have? If you have allergies, that will impact the type of pillow you choose. Are you worried about dust mites or other pests? If so, you will need a pillow that is dust mite resistant. Are you one of those people whose pillow has to be constantly cool? If so, there’s a pillow for that too. As mentioned above, there are several types of pillows. The one that is right for you will vary according to your needs, but in the next sections, we will go over some of the better options. Shaped body pillows are mainly used during pregnancy. However, you don’t have to be pregnant to enjoy the support these pillows can provide. 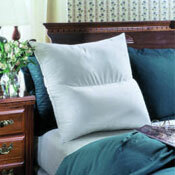 Both V and U-shaped pillows fit around the back of the neck, providing excellent support. They are also excellent for side sleeping, as they were originally designed for pregnant women who can’t sleep on their backs or stomachs. 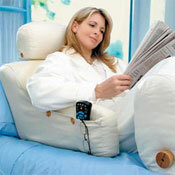 V and U-shaped pillows are also great for neck pain, as they remove a lot of the strain and stress. 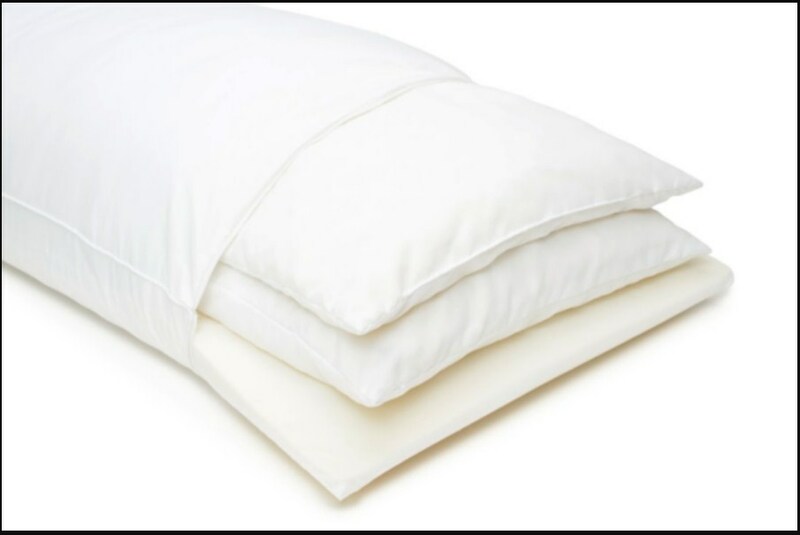 Latex and shredded memory foam pillows are excellent replacements for those made of down or poly fill. Down and poly fill pillows can cause allergies, but that is not all. They are also home to bacteria, dust mites and fungi. All of these things can make breathing problems worse. Furthermore, if you have leukemia or have had a bone marrow transplant, some of the fungus could kill you. Even if you don’t have a weakened immune system, these pillows are great anti-snoring pillows at the very least. Surprisingly, there is even a pillow that is made specifically for side sleepers, the aptly named side sleeper pro. This pillow is filled with micro air beads and promises a decrease in stiffness, neck issues, and other problems you might face. The pillow also supports your shoulders. No longer will you have to seek shoulder pain at night relief. However, if you switch positions often, this pillow is not for you. It is designed for side sleepers, but if you find yourself flipping to your back or stomach, you could wind up in some awkward positions. Sleep is one of the keys to proper health. If you do not sleep well, you run a risk of developing all sorts of health problems. The first and biggest key to good sleep is having the proper pillow. Finding that perfect pillow can be difficult but it doesn’t have to be. Now that you have read this article, you have all the information you need to get started on your search. Who knows? You might have more to gain on your quest than just a better night’s sleep. 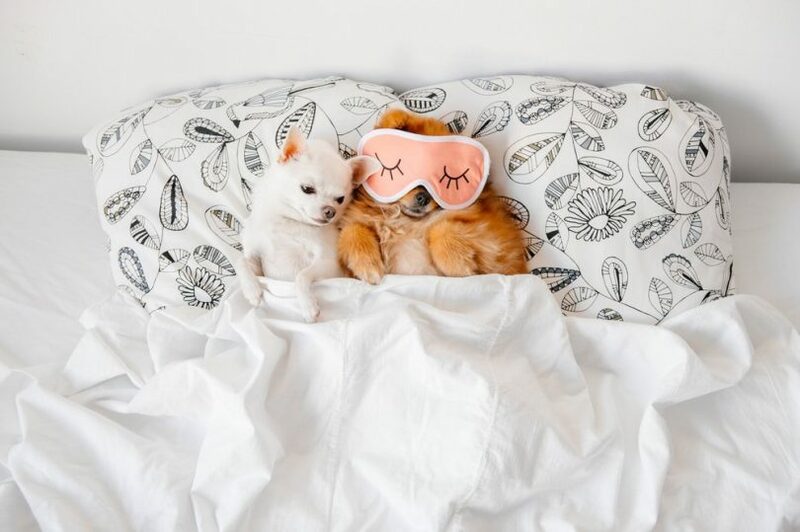 After all, they don’t call it beauty sleep for nothing. A good night’s sleep could even prevent wrinkles, making you look more youthful. You’ll just have to start your journey and find the pillow of your dreams. Getting the right pillow for your bed is really important for sufficient and comfortable sleep. At times it may prove quite difficult to breathe and find the suitable temperature through the night, resulting in constant pillow flipping. Regardless of your sleeping position; back, side or stomach, the essence of bamboo pillow will best suit you. The bamboo pillow helps to eliminate bacteria, dust mites, snoring etc. and is recommended for those who suffer from allergies and respiratory illnesses like asthma and other lung diseases. 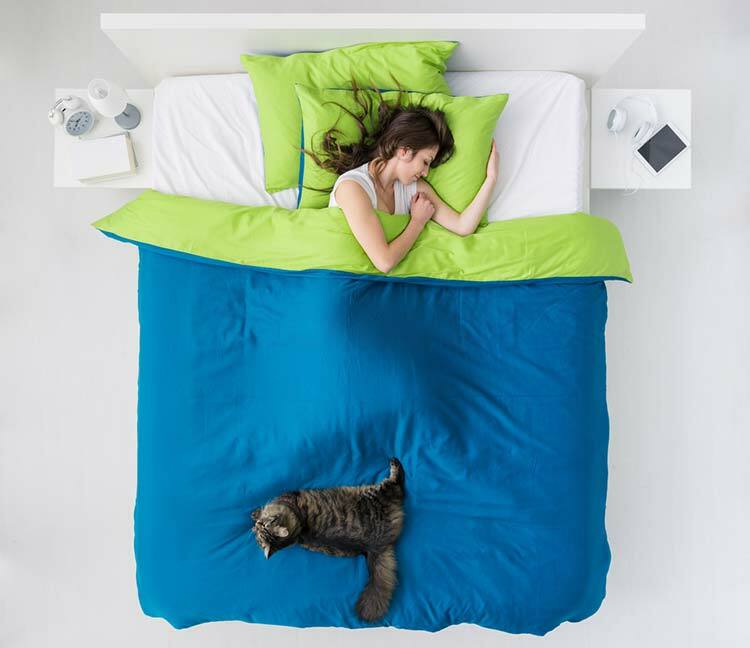 Suits varying sleep poses and are perfect for back sleepers, side-sleepers, and stomach sleepers. 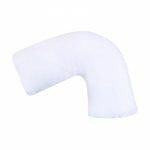 It is the pillow for those with trouble sleeping especially with those who are middle aged or those who are in menopause. Bamboo pillow maintains a cool temperature due to the outer cover that encourages air flow which helps to avoid the need to constantly flip your pillow throughout the night. It is fluffy and light and provides a comfortable feel when used. 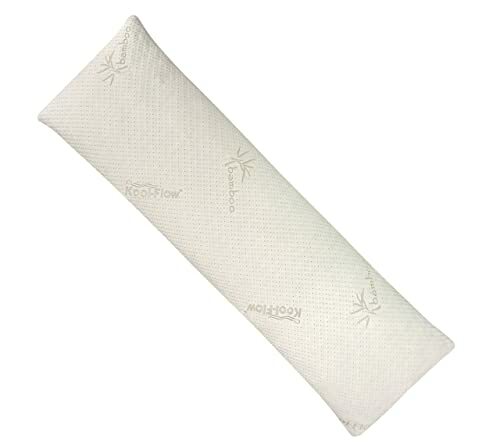 Good for people with those suffering from allergies; it is a naturally hypoallergenic down alternative fiber pillow. It is found in your preferred size and shape as well as softness and comfort levels. You can, therefore, choose a pillow that aligns with your needs. The advance bamboo cover helps you to stay cool all night; it supports easier breathing, cooler temperatures, and lack of toxins. Lack of toxins due to natural bamboo growth and harvesting methods. The pillow is resistant to bacteria, dust mites, and can help with breathing problems and snoring. The bamboo within the pillow is a resistant unlike other pillow material. It enables adequate and comfortable sleep so that you are left refreshed when you wake up because of its natural heat dispersal abilities. A good pillow should fit your sleeping position; a good pillow should correspond with its volume and density to your sleeping position. It should be durable; no one wants to buy a pillow every year. It should not lose its shape and firmness within a year of use. A good pillow should last two years. Hygienic; a good pillow should provide proper ventilation and resist moisture retention to prevent infestation from bacteria, molds, and bed bugs or mites. Additionally, it should also be safe and hypoallergenic. Organic Kapok Pillows: They have kapok that is certified as organic. Organic Wool Pillow: It helps with temperature stability and is suitable for those who feel hot while sleeping. Organic Body Pillow: At times one can feel like they lack something while sleeping on organic beds. The body pillow fills the gap by aligning the spine and encouraging quality sleep that is natural and comfortable. The best pillow should not have material that is toxic or harmful to the environment. The processes of making the pillow and the materials used should be natural and possess the necessary health and environmental certifications. The environment and the users should not have their safety at risk from the materials present in the pillow. A suitable amount of stuffing is reached. A suitable height or thickness is met. It conforms to your head shape while remaining soft and comfortable. Head and neck support and comfort are equally provided. Back and neck pain can be reduced by the use of the bamboo pillow but is not a guarantee for everyone using it as it will depend on things like the causes of the pain and how advanced the problem is. For side sleepers, body bamboo pillows always come in handy. They are easily customized and they have displayed plenty of health advantages. You can get more information regarding this as well as other variations and their health benefits. People are different hence not every user’s needs can be met by the same product. Your preferences may differ from another’s. There are widely spread misconceptions regarding bamboo pillows especially as relates to beneficial qualities, most of which are marketing gimmicks which are not entirely true. 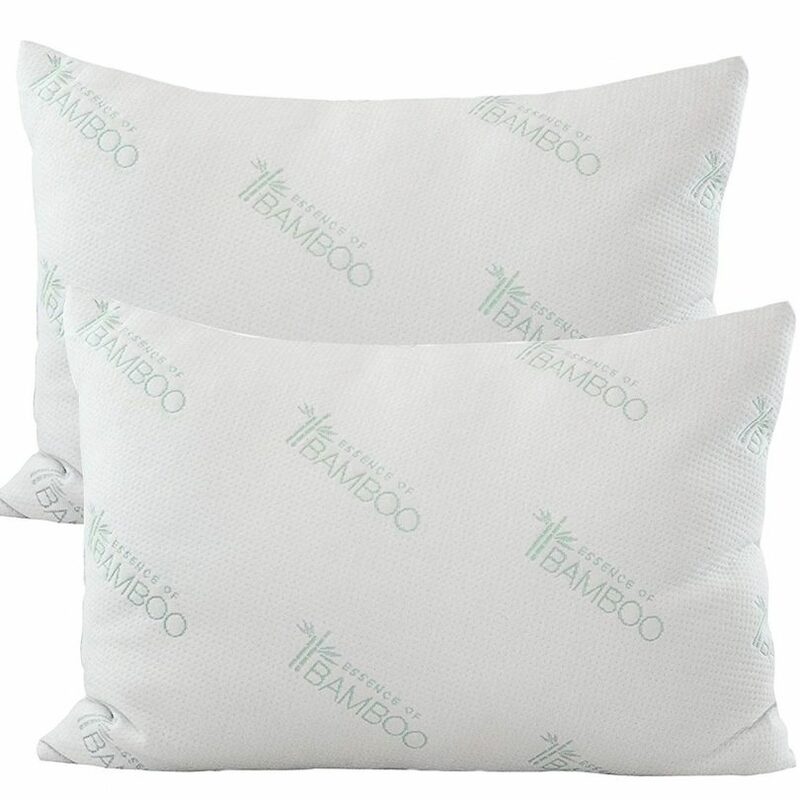 The bamboo pillow is eco-friendly and green as long as the right bamboo filling has been used. Get a review of the pillow at this video. The essence of bamboo pillow has the health and comfort benefits required for sufficient sleep. It is great for containing allergies by keeping allergens at bay and helps those with sleeping problems sleep a lot better. If you are looking for a pillow to improve your health, this is it. After a long day, you look forward to rest and rejuvenation through a good night’s sleep, and once in slumber land you either sleep on your back, side or stomach. However, research, it is now clear that sleeping on your stomach is bad for your health and in this article we shall look into why you should not sleep on your stomach. Do you know that your sleep posture has a bearing to your health? I recently learnt that one’s sleeping posture is a contributor to good or poor health and the stomach sleeper has it the worst because it is the most problematic. It got me to thinking that it could be the reason why sometimes I wake up not feeling well rested. Indeed, studies have proved that sleeping on the stomach is damaging to health. Sleeping on your stomach is bad for your back and neck which inevitably leads to poor sleep and the feeling of discomfort, like I have felt at times. To breathe well while sleeping on your stomach, you must turn your head to one side which results in your neck being twisted thus misaligning your head and spine which is inevitably damaging. Problems like a herniated disk in the neck are common problems as a result of this sleeping posture. The spine suffers the most in those who sleep on their stomach because most report experiencing pain in their back, neck and joints. The pain leads to discomfort and affects how much sleep you get during the night leading to insufficient sleep. Sleeping on your stomach is bad for to your back because of the strain and pressure placed on your spine. Your mid-section hold most of the weight in your body and by sleeping on your stomach, gravity pulls most of this weight downwards thus pulling in the spine and making it difficult to keep a neutral position of the spine as you sleep. This strain on the spine equals an increased stress on the rest of your body structure and pain in most parts of your body because the spine is the pipeline for the nerves in your body. Sleeping on the stomach is obviously an uncomfortable posture for a pregnant woman in the latter stage of pregnancy. However, do you know it is bad even in early pregnancy? It must be avoided throughout a pregnancy, both in the early stages and in the late stage. If you already have most of your body weight in your midsection, imagine how much weight you have packed when pregnant, which will be extra strenuous on your back and spine if you slept on your tummy. This will lead to acute back pain and is bad for the baby in the womb. Your stomach on the mattress means less space for the baby to move around in for normal healthy development and can also affect optimal oxygen flow to the baby as well as the mother. What if I cannot stop sleeping on my stomach? Use a thin pillow or no pillow- the flatter the pillow the less strain on the neck and head. 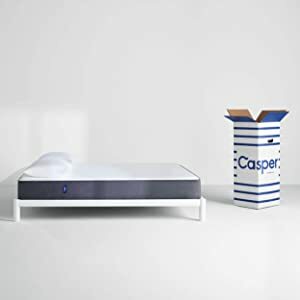 Get the right mattress for stomach sleepers. Sleep with a pillow under your pelvis to keep your back in safe position. Do stretches in the morning, especially those targeting the back and neck to realign your body. Can you change your sleeping position? Now you know why stomach sleeping is bad for you. It will be difficult to change the way you sleep because it is a long habituated in you, but you can do it. If you cannot, you have tips to keep you comfortable and help assuage potential problems. Take the necessary steps by changing your sleeping posture to keep you healthy and allow for a good night’s sleep. Room temperature can be defined as a range of temperatures that are comfortable enough for human habitation. These temperatures have to be in a range where you don’t feel either uncomfortably cold or hot. 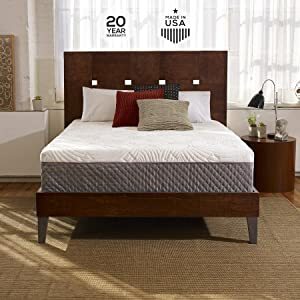 The same way comfortable heat conditions are necessary for healthy body function during the day, night time requires the best room temperature for sleep as you rest. Temperature range depends on a number of different factors which include the weather conditions, your temperature preference, and the seasons of the year such as summer and winter. Why room temperature affects your sleep? The most common temperature range for comfortable sleep is 20oc to 250c. Nobody wants their sleep to be interrupted because of unfavorable temperatures, which make it so uncomfortable to sleep well. Generally, you go lower than this range and you will be too cold, go higher and you will be too hot to sleep well. The absolute perfect temperature when going to sleep is greatly affected by whether you are male or female. Females have a lower resting metabolic rate as compared to males and will thus require more heat from their surrounding in order to maintain a more comfortable temperature when sleeping. This may cause a bit of a problem when you and your partner try to come to a compromise on the right temperature. Accordingly, because men have a higher rest metabolism compared to women they will emit more body heat during slumber. 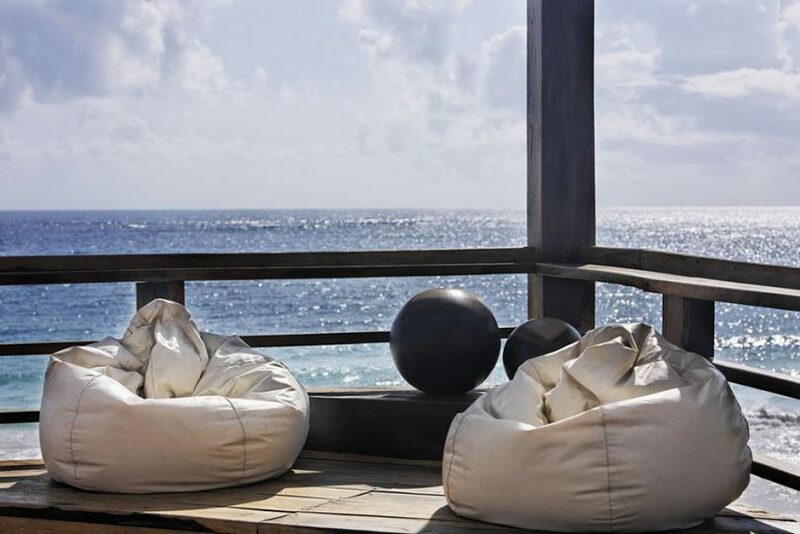 Men need cooler surroundings for to cool down their bodies for optimal sleep temperature. Your temperature drops when sleeping because the body requires low heat when at rest, and then steadily rises when your sleep cycle comes to an end, to signal your body to wake up. 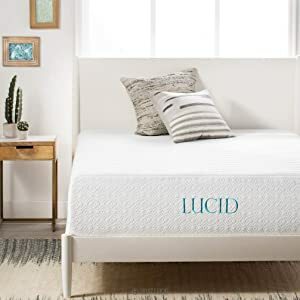 The optimal temperature range that has been scientifically proven to be ideal for sleep, by the National Sleep Foundation is between 650and 690. This temperature will actually help your body to perform its normal functions while in slumber. 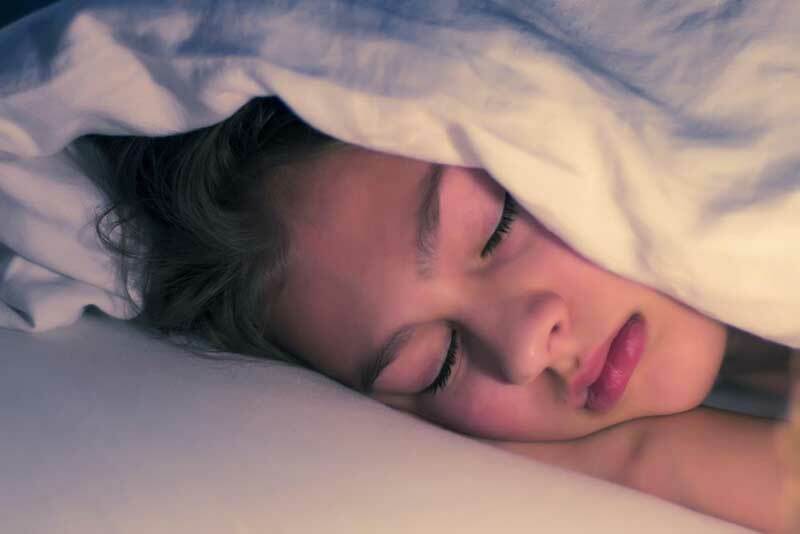 How to get the right bedtime room temperature? In the summer, ensure that you keep your air conditioning in the range of your absolute temperature. This will help you save a lot when it comes to your energy bills. The reason for this is that most temperature regulator machines use more electricity when the compressor ignites, as compared to when the compressor is running. Lowering your room temperature during winter will save you a lot of money when it comes to your electricity bills. You should make sure that even though you reduce the temperature it is not so cold that you have to go to bed in a jacket. You should lower the temperature of your home only at night so as to cooperate with your body’s normal functions. For every degree you lose, you reduce about 1% of your total monthly spend on electricity. This brings about the necessity of seeking out alternative forms of heating such as wearing warm clothes to bed and also covering yourself when you get to bed using a comforter or blanket. The ideal temperature conditions for a good night’s sleep should ensure you are warm during the night when your body temperature is low and cool as the morning advances and your body is on the verge of waking up. If your room temperature is too high while you sleep, it will have the effect of making you toss and turn throughout the night because you are uncomfortable. This will make you lose sleep and lead to the occurrence of insomnia, and will negatively affect your productivity the next day. It is recommended that you get a climate controller for your home that will really help you in regulating the temperature in your home. There are different A/C systems for your home. There are those that control the temperature for the whole house and then there are those that regulate the temperature in only one room of the whole house. 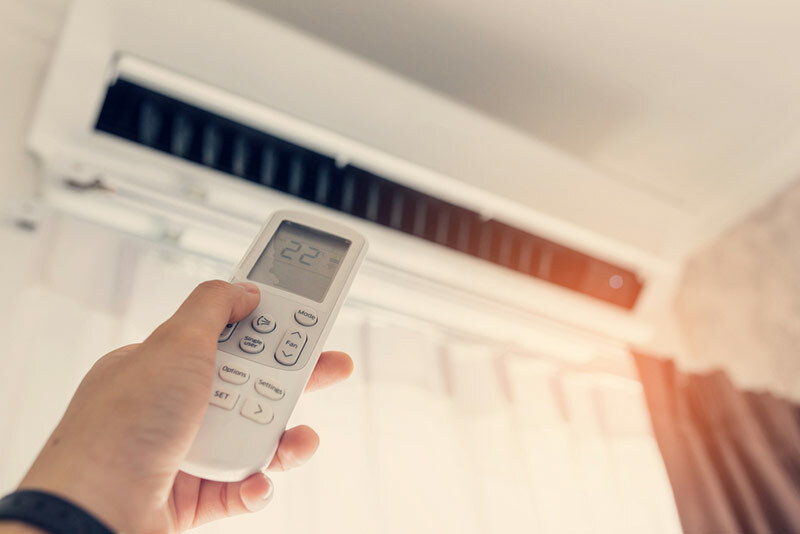 You do not only sleep in your bedroom and thus you have to ensure that the temperature in your whole house is properly regulated to give you’re the best temperature for you. You would not like to have the best temperature for sleep in your bedroom only to take a trip to the bathroom and find that it is so cold that you wake up. You also find yourself falling asleep on the couch in the sitting room or in the den and thus you wouldn’t want to find yourself shivering or sweating throughout the time that you are sleeping. You should ensure that you get a comfortable enough temperature but please do not do it at the expense of digging too much into your finances. There are a number of radiators you can install in your house that will warm or cool your house accordingly without using too much power and thus prevent you from overspending on your electricity bills. Ensure that you keep your heating to the barest minimum possible, so as to save on power without having to freeze in your sleep during the night. Keep the temperature at no more than 200 during the night so as to enjoy the best sleep and cheapest sleep at that. The temperature can be set to a minimum of 150 to ensure that you do not freeze during the night. In conclusion, the recommended best temperature for you to enjoy a cozy day or night in your home is actually room temperature. 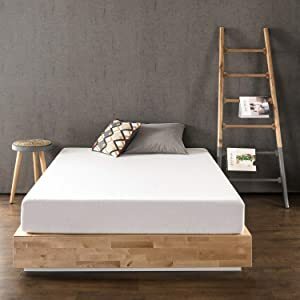 As said earlier this tends to vary, thanks to a number of different reasons but it is still essential in ensuring that you sleep soundly through the night. It is also important to ensure that you utilize your home A/C system to give you the best room temperature for sleep. Your body needs to rest, rejuvenate, and repair every night, which is why getting sufficient sleep is important and should be as relaxing as possible. Now you know why having the right temperature in your bedroom is important for sleep. After a long day out, you need to take leave to refresh yourself as you prepare to face the next day. However, the way you handle this important refreshment called sleep will determine how you will wake up to face the day ahead of you. However, the tools you use to facilitate your sleeping will determine the quality of sleep you will enjoy. Pillows are some of the sleeping accessories that play a significant role in how you enjoy your sleep. Our big question is, “Is it bad to sleep without a pillow?” Is it necessary to use a pillow to enjoy a restful night? If the answer is “Yes” then what are the consequences of sleeping without a pillow? If you want to find factual answers to these pertinent questions, we ask you to read our post up carefully since it has all the answers. In this post, we shall examine the benefits you lose when you spend your night without a good pillow. Keep on reading. It is not rocket science to tell you that when you sleep on a good quality pillow and in the right posture, you will wake up more refreshed and revitalized. 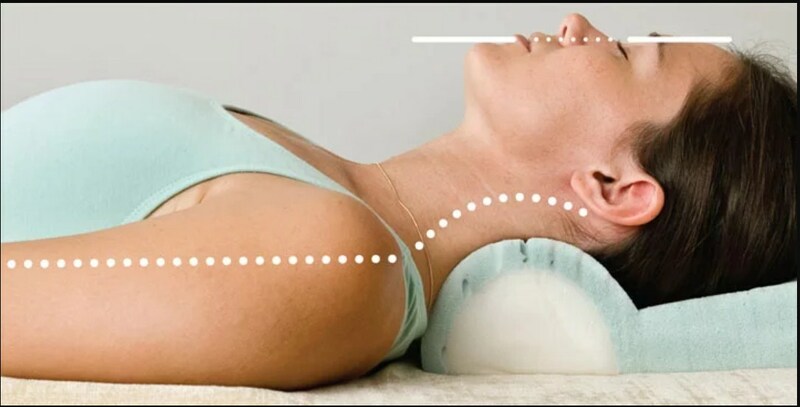 When you use a good pillow, it provides you with the much-needed support so that your body does not need to compensate for it by engaging your neck or back muscles. When your body engages these muscles this way, you suffer even more strain at that critical time when your body is supposed to recover from the stress you encountered during your busy day. Why does it happen this way? The reason is that your body tendons and muscles overwork themselves leading to accumulated strain and body pains. So, what happens when these pains persist without remedy? The pain becomes chronic. 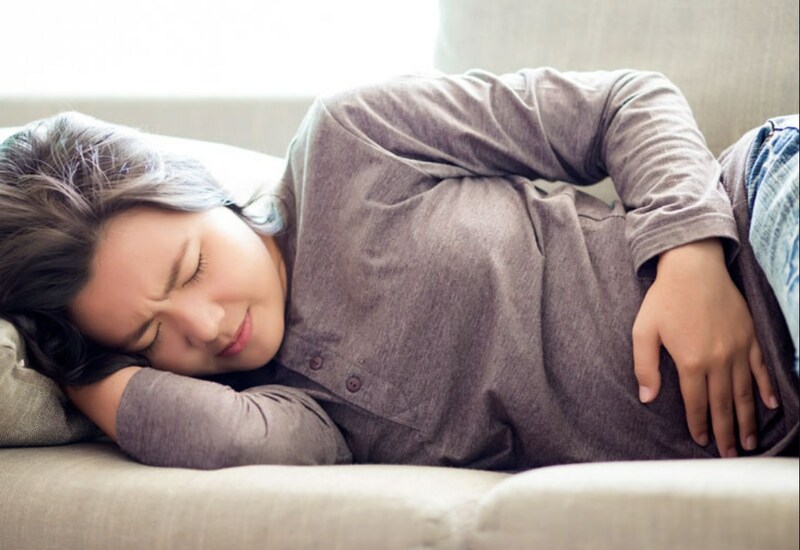 With these pains becoming chronic, you end up suffering sleepless nights, waking up during your sleep, and needing to keep changing your sleeping position every time. With pain having lodged itself in your body in this manner, you may end up in the doctor’s office seeking help. Sleeping without a good pillow means that you will be waking up more tired than you went to bed, and hence, defeating the very reason why you had to sleep. This means that you will lack the necessary energy and psyche to face the day as you ought to. With all these dire consequences clear before your very eyes, is it bad to sleep without a pillow? Your guess is as good as mine. Let us look at it this way. When you lie on your body sides, your whole body weight (in the upper torso) is pushed to your hips. When this pushing occurs, you begin feeling discomfort and pains. Additionally, this position makes your legs slide forward, leading to twisting that puts pressure on your back. However, the story changes when you use a body pillow in between your knees. Why does this whole difference come in? The answer is simple: your body no longer needs to keep twisting to distribute your body weight evenly, and thus, it leads to better back health. So, is it bad to sleep without a pillow? The answer remains “Yes it is,” because you will miss all these priceless benefits. 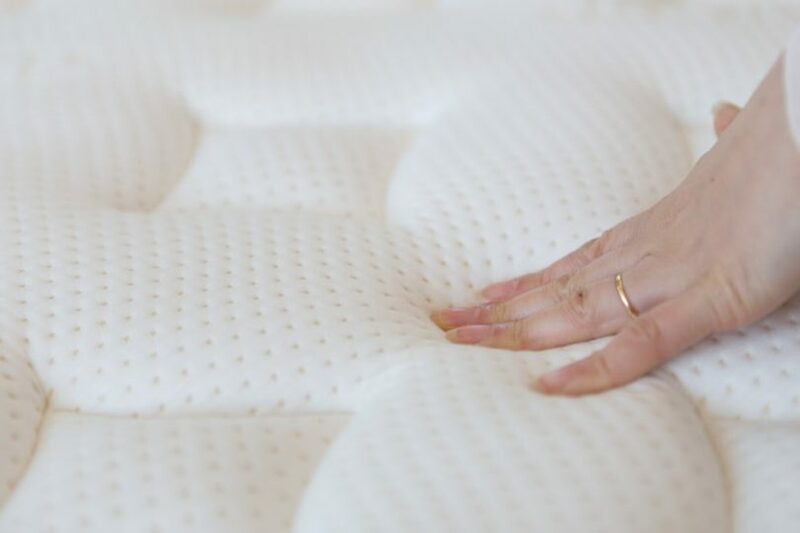 If your mattress is too firm or hard, you risk aggravating your body’s pressure points. Why? Because your sensitive body parts like hips respond to such firmness through pain and discomfort due to reduced necessary support. The reason behind this painful response is that our bodies respond when they shift our sleeping positions making us end up twisted in an arrow position or sleeping on the belly. This position makes your spinal cord align itself improperly and excessive pressure being exerted on your arms. But by using a pillow, especially a body pillow, the whole equation changes, thus underscoring the need to use pillows. 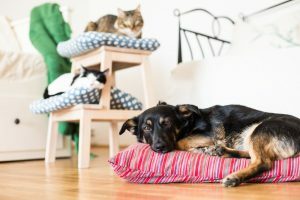 If you are still asking, “Is it bad to sleep without a pillow?” you have another answer in this subsection of our post. The primary reason for retiring to bed is resting and refreshing yourself for the day ahead, not so? If that is the reason, then why should your sleep become another forced workout session that turns your bed into a house gym? Well, it might seem funny but that is what many of us end up doing during their sleep. However, you can turn your bed into what you intended it to be—a resting place where you do not need to engage in Kung Fu or Karate. When you incorporate a good pillow, and in particular a body one, you don’t need to keep moving and tossing your body looking for a comfortable body sleeping position to carry you through the night. Why? Because you have a quality and supporting accessory to rely on. Moreover, by holding onto something soft and supportive during the night, you orient your mind to think in terms of comfort and support. This way, your mind and body will always approach every evening with a nostalgic feeling of what you had last night before being interrupted by sunrise. Indeed, you will have every reason to look forward to sleep. But when you remove the pillow from your equation, you can only suffer the opposite and sentence yourself to bed times that are punctuated by tossing and turning. If you thought that ignoring a good pillow, especially as a expectant mother, will affect you alone, then be ready for a shocker. The reason is that using a pregnancy pillow will benefit both you and your baby. After your delivery, you can use the same pillows to support your newborn baby. They can help you during baby feeding times. Additionally, the pillows are idea for creating a barrier that keeps your baby from rolling over the bed. If you thought that ignoring a good pillow during pregnancy would only lead to body pains, you missed the whole point. The reason is that by excluding this critical accessory from your sleeping routine will affect your blood circulation. So, is it bad to sleep without a pillow during pregnancy? The answer is a big resounding “Yes” because doctors recommend pregnant women to sleep on their sides when their babies start growing. 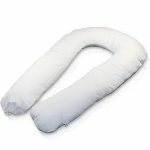 With a good pregnancy pillow, you enjoy improved blood circulation, which is necessary for your overall health and existence because blood is the life of your body. It is no wonder when you lose blood, you die, and this means that you will lose better functionality in all the body parts that suffer from poor blood circulation. Who likes suffering heartburn and low water retention levels when they are carrying that much-awaited bundle of life and joy? Of course, nobody likes that. However, it is still possible to suffer all these during your pregnancy if you ignore a good pregnancy pillow. The reason is that when you use a good pregnancy pillow, you enjoy high water retention levels and decreased chances of developing heartburn. It is that simple. Finishing on a pregnant note, failing to use a good pregnancy pillow increases your risk of snoring. The explanation behind this condition is simple. When you sleep without a pillow, you end up falling on your back and consequently, sleeping in the wrong position. This behavior means that you will disturb your spouse’s sleep. Sleep is a critical form of rest in your life. It is so important that you can die from lack of sleep faster than you can by missing food and water. This startling fact is the worst form of answer you can ever give to the question “Is it bad to sleep without a pillow?” Besides potential death, sleeping without a pillow has many other negative effects that can affect your health and that of your child for those who are expectant. For instance, a pillowless sleep will expose you to the risk of snoring where you become a nuisance to your spouse or even neighbors if you live on a flat. Additionally, sleeping without a pillow exposes you to tired mornings where you wake up more tired than you went to bed. Lastly, you lose proper and balanced body alignment when you spend your nights without a good pillow. Therefore, the ball is now in your court to do the right thing since you know what you are bound to suffer by excluding pillows from your sleeping routines. You are now the jury to make the right decision that will help you to enjoy the benefits of sleeping on a good pillow. Taking time to clean your pillow pet removes stains and other forms of dirt, making it enjoyable to utilize it. Most of these pillows can be cleaned in the washer while other types will require you to wash them gently using wet pieces of cloth. Irrespective of how you wash them—using your hands or machine—it is advisable to air-dry them to avoid damage to their fur by the dryer. In this post, we shall learn how to wash pillow pets. Therefore, I urge you to remain put as we take this systematic journey through the cleaning process. Here are steps how to wash a pillow pet using a machine. To wash your pillow pet properly, you have to place it in a pillowcase and then tie its ends. You need to do this to protect its stuffed fibers from being beaten by the washer. This way, you will spare it unnecessary wear and tear, and hence, prolong its life. During the washing process, you ought to use detergents that are low in suds. The reason is that harsh detergents can stress the pillow and prolong the time it needs to dry and leave it sticky thereafter. Insert the pillow in the washer and start turning it gently or else you may end up beating the pillow against the machine and risk damaging it. Therefore, you have to select a gentle setting on the washer to protect the pillow while the washing goes on. When setting the water temperature, make sure that it is cold since if you choose a hot setting, you may end up damaging its color and texture. You can select this setting manually if the type of washer you are using does not have automatic settings. Not all pillow pets can be washed in the washer. When dealing with such pets, here is how to go about it. The decision to use hands or machine depends on the kind of pet at hand or your personal preference. For example, sweet-scented pets will maintain their sweet scent if you hand wash them. 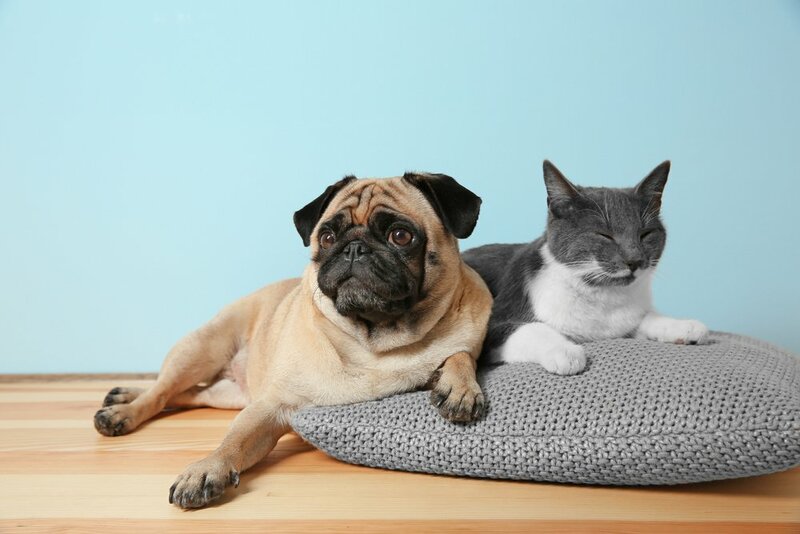 Additionally, hand washing your pet is necessary when you need to clean only specific areas of the pillow. You will be required to mix water and a mild laundry detergent in a basin. If you use a harsh detergent, you may end up damaging it due to the presence of suds. Additionally, it is necessary to check the mixing instructions to establish the right amount you need to mix with the water so that you do not oversaturate it. 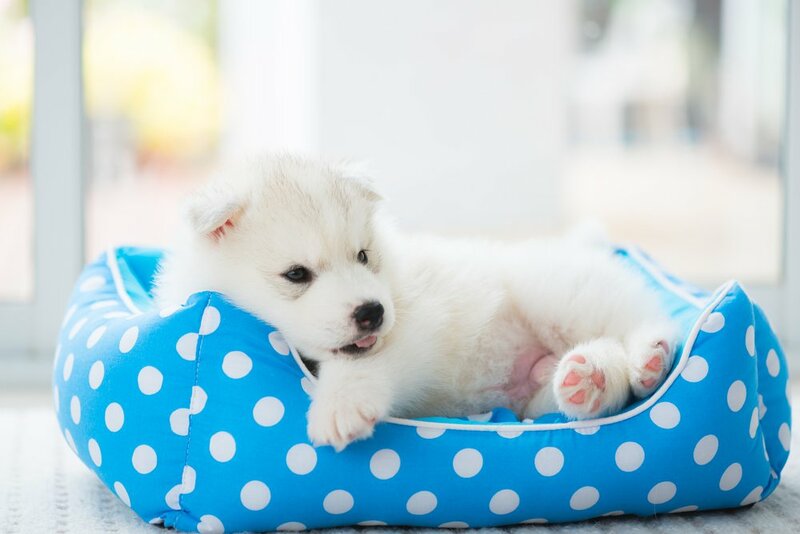 When cleaning a sweet-scented pet, use a scentless detergent. 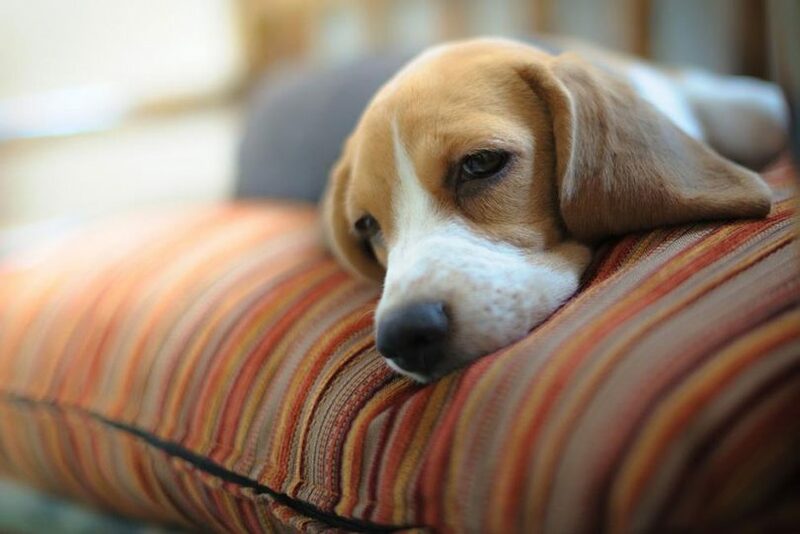 If the pet is stinking, add 90 grams of baking soda to your water mixture. Thereafter, it will be necessary to use a damp rag to wash the surface of the pet. You will need to dip the cloth in the washing solution you had mixed and wring it to remove excess water. Using the wet rag, you will continue rubbing the pillow’s fur in a circular manner until you remove all the dirt from it. If the pillow per has excessive water, you will need to press it out since if you leave it that way, it will require more time to dry and expose it to mildews. To preserve the life of your pillow pet, you need to dry it naturally. The reason why you should avoid the dryer is that you will expose it to excess heat and end up damaging its fur. In some cases, the heat of the dryer can even melt it. This instruction applies to both machine and handwashing processes. To facilitate proper drying, you will need to locate a conducive place where you can lay and dry your pillow. You can either dry it indoors or outdoors. Should you opt to dry it indoors, then you ought to get a place that is close to a window so that it can get enough sunlight. If you opt to dry it outside, then do so on a windless day so that the wind does not blow it off. For the pillow to dry well, it will be needful to hang it to allow for an even drying process. If you need it to dry indoors, you will have to erect a laundry rack and hang it using ordinary clothes hangers. When you opt to dry it outside, it is necessary to do so on a clothesline. To achieve maximum drying, you will have to give the pet enough time to dry. However, the speed at which the pet dries will depend on factors such as its size, the level of exposure, and temperature. I decide to put these pets in their own category since you cannot wash them in the washing machine or submerge them in water. If you want to clean an electronic pillow pet, you will have to follow this procedure. In this section of our guide, we shall show you how to dry clean any type of pillow pet irrespective of whether it is electronic or otherwise. This is how to go about it. Lastly, it is necessary to remove the cornstarch or baking soda and then first brush and beat out all of it before you vacuum it at the end of the process. If you do not do this, too much of these chemicals can jam the vacuum cleaner. Here are tips on how to clean your pillow pet. Washing your pillow pet is one of the most important maintenance routines that will help you to enjoy it and prolong its lifespan. However, your willingness to master how to wash a pillow pet is critical in determining the amount of success you will have in the cleaning process. That is why I compiled this cleaning guide to give you all the information you need to conduct this process. I hope your continued application of the insights shared in this guide will help you to improve your future cleaning processes. Are you looking for soft floor pillows to enhance your child’s playroom or bedroom? There are many colorful and cushy choices for you to choose from. 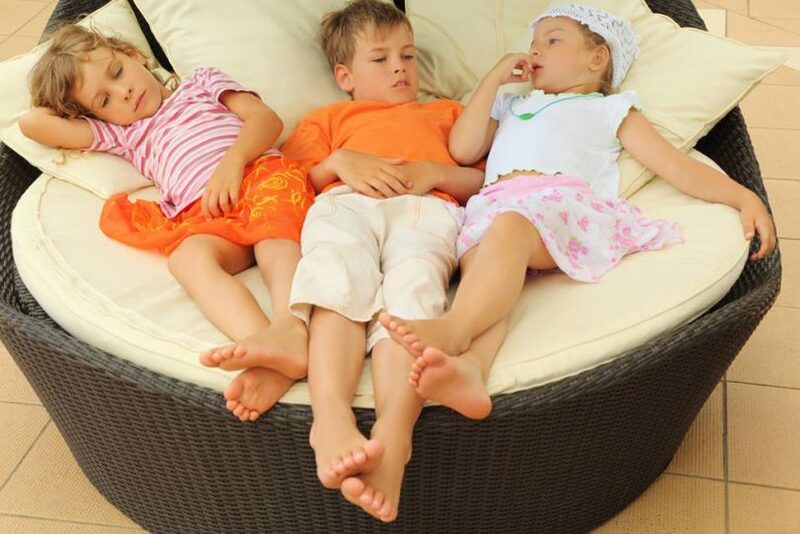 Floor Pillows can become fun decor or just cushy seating for your children. Its fun furniture to fit their playtime. There are many shapes and sizes of floor pillows to compliment a broad color selection. Looking for a comfortable pillow to lounge on while reading in bed or watching TV? There’s nothing worse that having to collect a bunch of pillows to stack behind you in order to prop yourself up. And lets face it, it’s never very comfortable. Here are some bedrest pillows that can accomodate your bedlounging needs. Reading Bed Pillows and Bedlounges…all of them provide the support and comfort for those who like to lounge in bed and relax. Read in Bed with Style in your own Oasis! 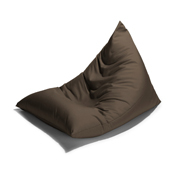 Bean Bag Chairs, Pillows, Sofas, and more! 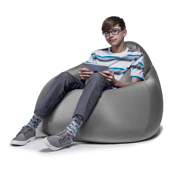 If you’re looking to buy Giant Bean Bag Chairs for Adults or Soft Foam Bean Bag Chairs for kids, or any combination sizes, shapes and more, you have a great selection below. You’ll find many configurations and fabric selections to ensure you can complement your existing furniture. 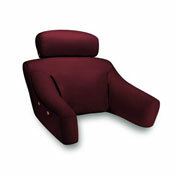 Foam Filled Furniture is becoming the most popular and the most comfortable way to accessorize your living space. 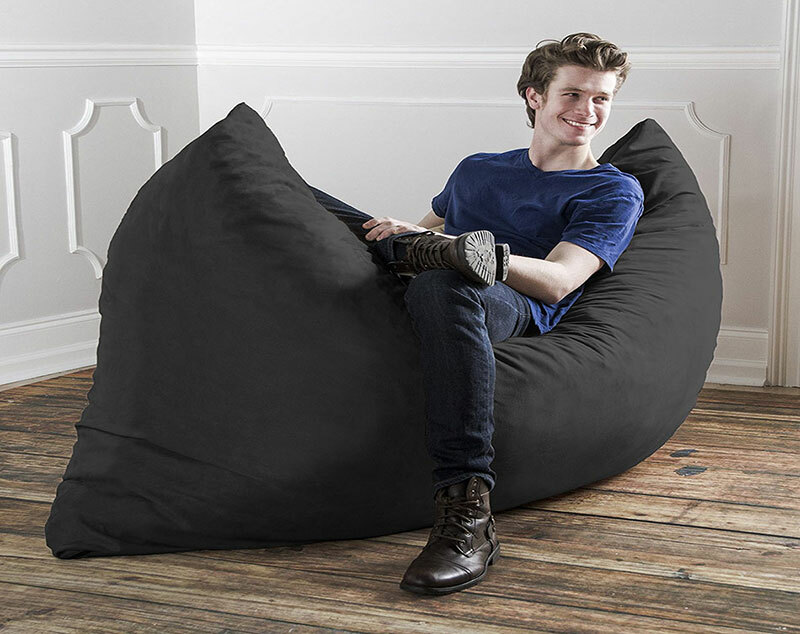 Bean Bag Pillows and Large Foam Filled Floor Pillows are just some of the items that are perfect for dorms, lofts, apartments and recreation rooms. 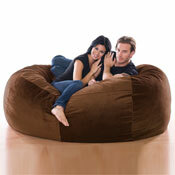 We have items so large, you can consider it a bean bag couch. Just make sure you have the room. If an unexpected party breaks out in your home, floor pillows are terrific for quick, casual seating. Floor Pillows come in many fabrics to compliment your home decor. Try Large Floor Pillows for your Schools and Libraries too. Or just use them to lounge around the house. Floor Pillows cushion your carpet and make sitting on the floor soft and comfortable. With tons of shapes, sizes and colors, you’re bound to find just what you’re looking for. If an unexpected party breaks out in your home, floor pillows are terrific for quick, casual seating. Floor Pillows come in many fabrics to compliment your home decor. Try Large Floor Pillows for your Schools and Libraries too. 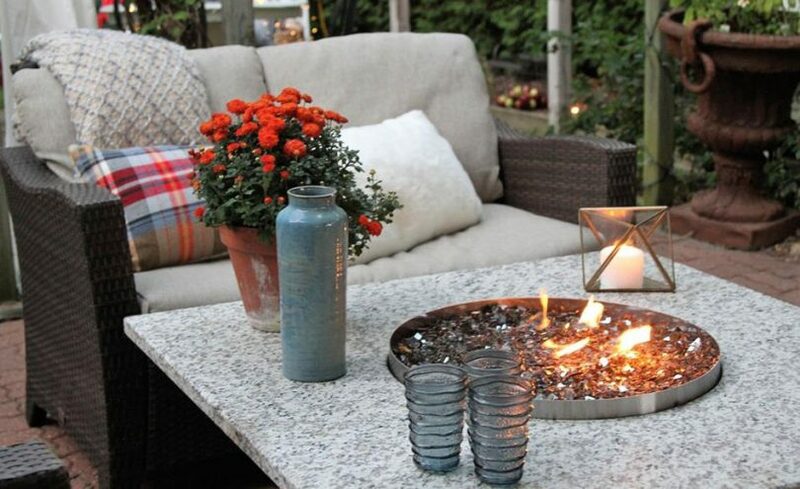 Or just have some seating pillows to lounge around the house. Choose from a multitude of fabrics to create elegant or casual floor pillows to match your tastes. 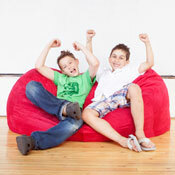 Large floor pillows are also great in children’s playrooms. 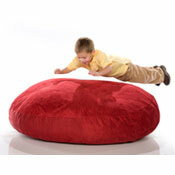 Giant Floor Pillows for Kids are great soft seating for Schools and Libraries as well as the Home. Do you need big pillows to sit on the floor? Need oversized pillows for your kids room or playroom? Above we have everything from a reasonably sized giant floor cushion, to extra large modular floor pillows. You will have no problem figuring out where to sit with the selection we have. So scroll up and peruse the various lounge pillows. Our most loved products are in the Large Floor Pillow Category. And as people learn more and more how convenient and comfortable having some extra soft furniture and Seating Pillows around the house is, they get excited too. But it doesn’t stop there. 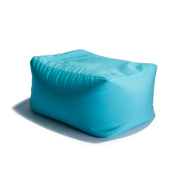 Some of our smaller, modular cushions are great in schools and libraries. As a little kid, we sat in a circle around the teacher during storytime. I would have loved to have a small soft seat to sit on back then.